t's true; Dormobiles can be found in various different magazine articles and books. They may be hard to find, but with the power of the Web, nothing is impossible. I have been fortunate to find the books and magazines listed below, mainly by chance--looking through National Geographic magazines in the Davis Public Library or searching Yahoo! for Dormobiles. I have been helped by interlibrary loan (the University of California has an AWESOME computerized library search program and INTER-library loan) and I also have been able to purchase out of print books from bookshops (Moes Books in Berkeley CA, and HP Bookfinders in England) using email. The first book I became aware of was "Roddy Owens Africa". 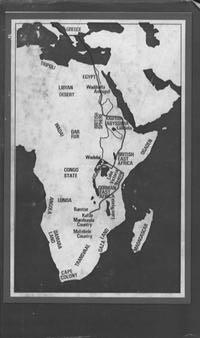 The author, Roderic Owens, is writing HIS account of travels through Africa retracing the steps of his great uncle of the same name. "The first time the demonstrator's Dormobile conversion of a long-wheel-base Land Rover came up Gilston Road it looked cumbrous and felt sluggish. It was comfortable, though. 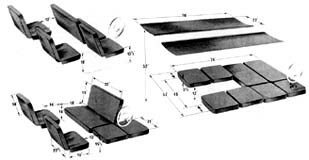 The seats could be made to slide forward and tilt backwards to form two beds; or, by means of other pressures would hop sideways and even bucket backward to come up facing back to front. "So handy for bridge," said the man, defly setting them to rights again. And there, at the back, was a two burner cooker, worked off Butagas; next to it a sink, in pink plastic, with a drain. 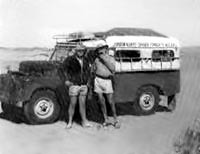 Opposite, a wardrobe and ten gallon white plastic jerrican for water, with tap, secured over the back wheel hump by canvas straps." 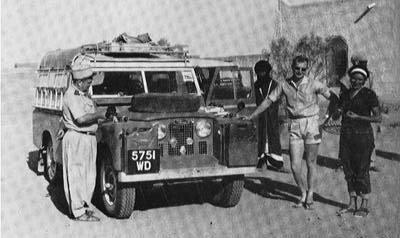 Roddy has given a good introductory description of a Land-Rover Dormobile with that account. 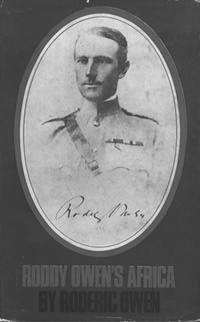 In fact, his description was so good that a Dormobile enthusiast in Scotland was prompted to call information in London and ask for the phone number of a Roderic Owen on Gilston Rd. Yes, Roderic Owen still resides on Gilston Road and my Scottish friend had a nice chat with him. Roddy even sent along a photo taken in London before the trip of himself, his traveling companion Nick, and the Dormobile. 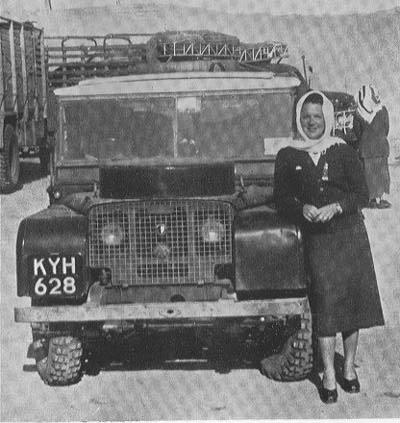 Barbara Toy has extensively traveled Northern Africa and the Middle East, driving first in a series one (80) named Pollyanna; she was then given or loaned a series 2 88 by Land-Rover and still later she travelled with a series 2 3 door 109 equipped with a Dormobile top. 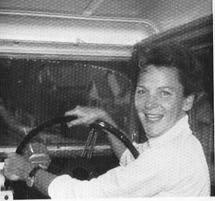 Her travels are discussed rather matter of factly and she drove everywhere seemingly unconcerned, supremely confident that she would get where she intended. My search of the MELVYL computer database at UC Davis revealed that she is the author of at least 6 books . Three were located at the UCD library, so I checked them out. A Fool Strikes Oil , subtitled Across Saudi Arabia, is the earliest book of hers I have seen (first published 1957). The copy I checked out of the Davis library is a signed copy, bearing the inscription "To Stan something My best wishes, Barbara Toy". This book describes her travels from the north east side of Saudi Arabia (actually Kuwait) to the southwest, through Mecca and finishing in the port of Jedda. I don't know if this is the first trip she took with Pollyanna but I believe it was one of many. "The engine hummed quietly and I felt the extra power. The wind-screen wipers moved in a steady rhythm, two of them. I passed the high gateway [out of the Rover Co.] and turned left. It was incredibly difficult to see anything! 'The damned snow! The damned road! This damned car!' I said to myself, 'I can't see a damned thing!' and wiped the tears from my eyes. " The Way of the Chariots is the first book which shows the 3 door 109 Dormobile. 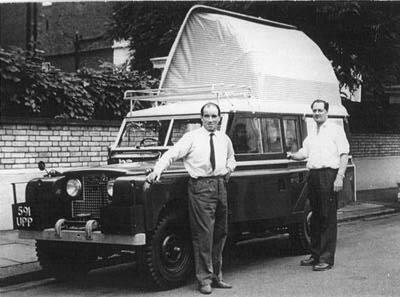 This conversion included a pop up roof, roof rack, sun sheet over the front cab but no interior furniture. The last book I am aware of is The Highway of the Three Kings Arabia-From South to North. 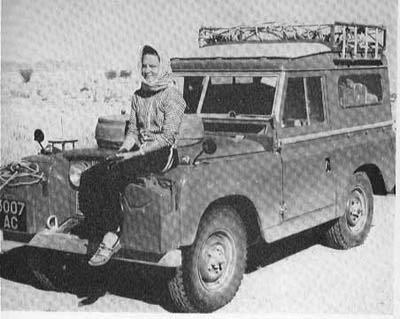 Whereas the book above is the description of Ms. Toy's travels across Saudi Arabia from East to West, this is a longer journey beginning in Aden, South Arabia, and finishing in Beirut, Lebanon. The last book I know about to use/feature a Dormobile is entitled (don't get weird on me) "Gay Bulgaria". It is written by Stowers Johnson and is an account of his travels through and across Bulgaria. I haven't finished the book but I have skimmed parts. However, the Dormobile isn't a Land-Rover but a Bedford. 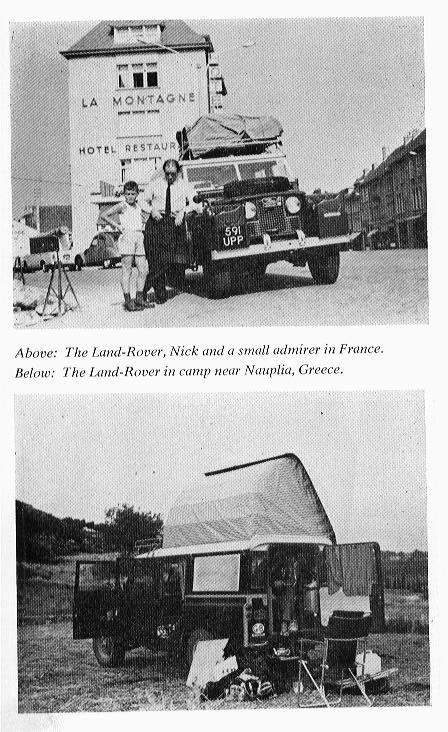 Along with the travel orientation of the book, none of the numerous photos feature the Dormobile.